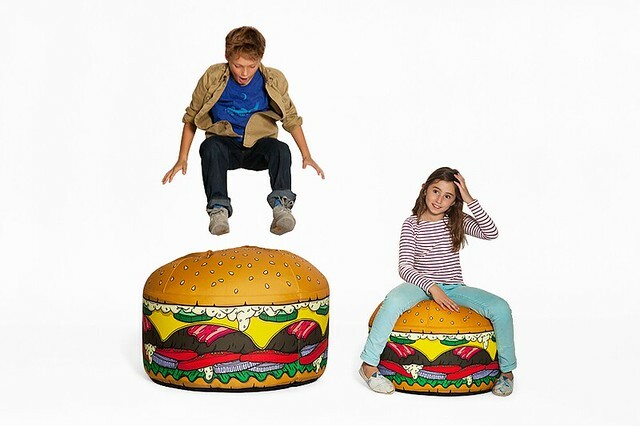 As part of their Fastfood series, Barcelona-based company Woouf! 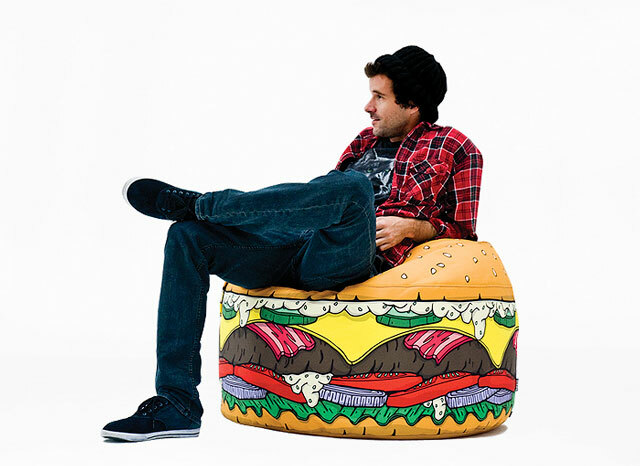 has created the Burger, a nearly 3 foot tall hamburger-with-everything-on-it bean bag chair. 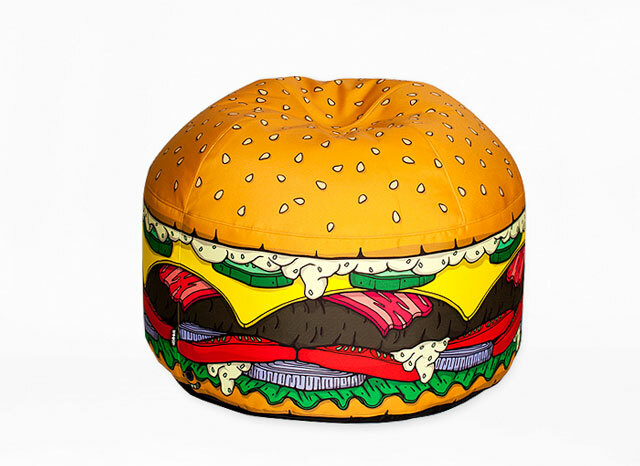 In case any food ironically gets on it, the chair has a fully machine washable cover made of technical fabric. 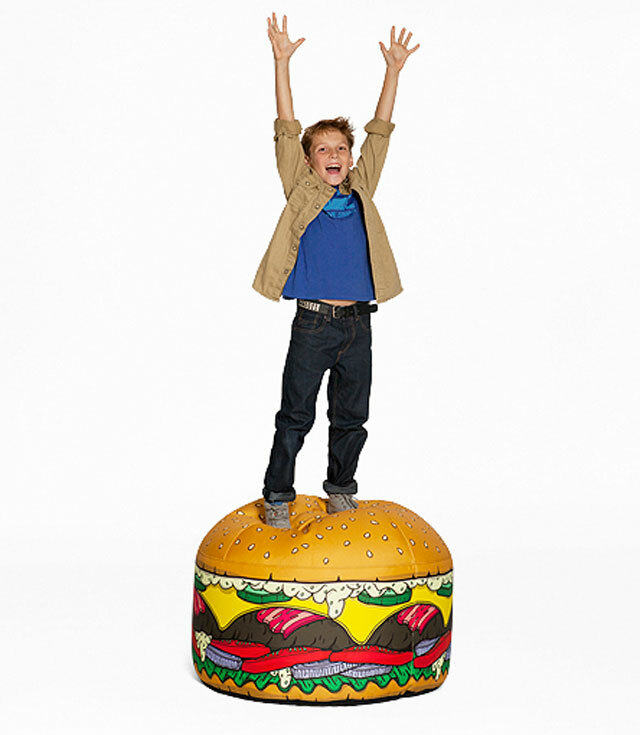 They also carry a MiniBurger (a smaller version of the Burger).